If you look at the map above, there is a tribe named the Epidii in the western isles of Scotland. This tribe as been a bit enigmatic because the name has never appeared on any maps or referred to in any writings after Ptolomy’s survey during the Flavian era. The name Epidii has as its root epos, meaning horse. As it stands it appears to be in the Brythonic language. I’ve always thought that it was strange that the men of Kintyre and the western isles would be known as horsemen, considering that this is unlikely to be good horse country. Although there are Pictish symbol stones with what look like sea horses: horse’s head and foreleg with a fishes tail. There are also many other types of symbol stones in Scotland with horses. Fraser has recently written that there is continuity in the name for Kintyre. Fraser hypothesizes that the people of Kintyre and surounding islands converted from Brythonic speakers to Gaelic between the Flavian period and when they reappear in the written record as Dalraida. Again he notes that this linguistic changed occurred when there was no accompanying archaeological change, no change in material culture. At the same time, there was a group of people in northern Ireland known by the name Cruithni, which means “Britons” in Gaelic. At some undated point, these ‘britons’ began speaking Gaelic. So we have Gaelic-speaking Britons in Ireland and people who supposedly came from Ireland converting territory in Britain to Gaelic. It is also worth noting that the Gaelic name for the Picts is Cruithni. So Irish authors used the same word to describe rulers in Ulster as in Pictland. Clearly the Early Historic period has much to teach us about linguistic change. It calls to mind how many Irishmen settled in southwestern Britain, in Wales and Dumnonia, only to leave no linguistic trace. 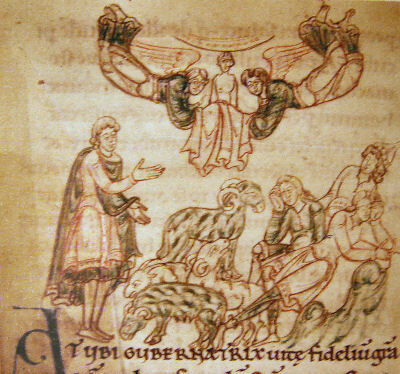 Legend claims that the kingdom of Dyfed in Wales has Irish origins related in the tale, the ‘expulsion of the Deisi’, yet they eventually spoke Brythonic/Welsh. There are a few archaeological traces of Irish in Wales, notably ogham writing. The northern examples of linguistic change in Kintyre and Antrim may be informative for the dominance of English in Bernicia and elsewhere that lacks a lot of early archaeological evidence of Germanic settlement. The archaeological evidence of Germanic settlement is a little more pronounced, but then we would expect Germanic settlement to be more of an abrupt change than from one Celtic culture to another Celtic culture. When you see what he does to Urien you may indeed be spitting feathers. I haven’t found the energy to tackle that topic yet. Your post above is very insightful. By the way, Eochaidh and the other two names are my legal names. I read a book about Irish clanns and read that some young Irish Americans are legally changing their names to A’ Gaeilge names. 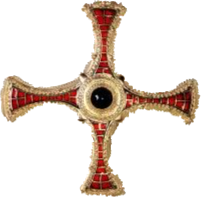 I’m right at this moment up-dating my web-page, Na Fineachan Gaidhealach: The Day Before Mons Graupius. I always knew that the Epidii were the Dal Riata. Your post will allow me to state the obvious. The Votadini (Fo-taidh-daoine = multitude of Dwarf people = the Irish) became the Gododdin (Go = Fo; -do = taidh; and -din = daoine). 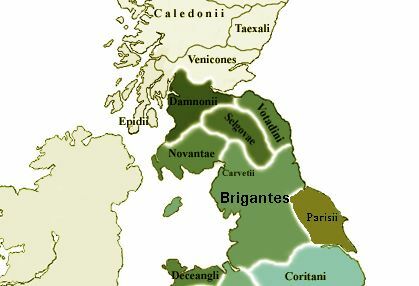 A king of theirs united the Southern Picts (who were Irish) with the Northern Picts (who were Brythonnic (Old Welsh) = Clann Brodie = Brigante = Caledonii (Coille -daoine)). How about this: some Romans are sailing along the Kintyre coast, and the only humans they ‘espy’ are racing along the coast, checking out the largish ship. So, calling this area the Land of the Horsemen makes some sense: ie, “Remember, that week, when we saw a bunch of men on horses, galloping along the coast and waving at us? ?” Also, if I were an ancient Roman, I wouldn’t be to anxious to land on Kintyre, as most of its length, it would look like a barren, unpopulated ridge.